In May 1940, Nazi Germany was master of continental Europe. The only European power still standing was Great Britain-and the all-conquering German armed forces stood poised to cross the Channel. Following the destruction of the RAF fighter forces, the sweeping of the Channel of mines, and the wearing down of the Royal Naval defenders, two German army groups were set to storm the beaches of southern England. Despite near-constant British fears from August to October, the invasion never took place after first being postponed to spring 1941 before finally being abandoned entirely. 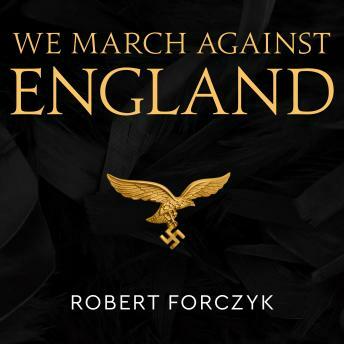 Robert Forczyk, author of Where the Iron Crosses Grow, looks beyond the traditional British account of Operation Sea Lion, complete with plucky Home Guards and courageous Spitfire pilots, at the real scale of German ambition, plans, and capabilities. He examines, in depth, how Operation Sea Lion fitted in with German air-sea actions around the British Isles as he shows exactly what stopped Hitler from invading Britain.